CORONADO, Calif. — Phase II study results of the agent ASA404 showed promise in patients with either squamous or non-squamous non-small cell lung cancer (NSCLC). Results of this study, which were presented at the AACR-IASLC Joint Conference on Molecular Origins of Lung Cancer, support ongoing Phase III studies of ASA404 in NSCLC. Under development by Novartis, who licensed the drug from Antisoma, ASA404 (vadimezan) has a unique mechanism of action against a tumor’s blood supply. Scientists have long known that choking off this blood supply through a process called anti-angiogenesis is one way to slow tumor growth. Bevacizumab (sold as Avastin by Genentech) is one of many angiogenesis inhibitors and has had a major impact on patient care. This unique mechanism of action could provide an option for patients with either squamous or non-squamous NSCLC. Treatment options for patients with advanced stage NSCLC are limited, particularly for those with squamous histology where some treatments exhibit limited efficacy or serious side effects. 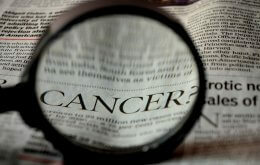 “Standard chemotherapy is currently the mainstay of treatment for patients with squamous NSCLC. New targeted therapies and chemotherapies have been evaluated, but many show little promise as first-line treatments in patients with this type of cancer,” said McKeage. McKeage and colleagues evaluated 108 patients with stage IIIb/IV NSCLC. Patients received six cycles of paclitaxel and carboplatin alone or the therapy cycles with ASA404. The researchers then compared the results by histology (squamous vs. non-squamous) and by treatment (chemotherapy plus ASA404 vs. chemotherapy alone). Overall survival was much higher in patients treated with ASA404. In patients with squamous histology, survival was 10.2 months compared with 5.5 months among those treated with chemotherapy alone. In patients with non-squamous histology, survival was 14.9 months compared with 11 months among those treated with chemotherapy alone. The addition of ASA404 did not appear to increase toxicity, and there were no serious adverse events associated with bleeding, pulmonary hemorrhage or hemoptysis. Rates of grade 3 or 4 anemia were not different, nor were rates of thrombocytopenia or neutropenia.